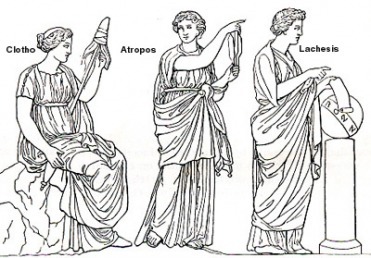 Atropos was one of the three Moirae, the Fates, in Greek mythology. They were female deities that supervised fate. Atropos was the Fate responsible for cutting the thread of life. She was also known as the “inflexible”. She, along with Clotho and Lachesis, were the daughters of Zeus and Themis.